The Banner Saga 2, the second game in developer Stoic’s trilogy of tactical role-playing games, is out now on Nintendo Switch. That’s great news, but it’s clear from the get-go that your overall enjoyment of the game will vary greatly depending on whether you have a completed save file from the first Banner Saga game (also now on Switch) to import from. That may seem fairly obvious to most people, especially when there’s a big fat ‘2’ in the name, but just like other choice-based games like Mass Effect 2 and Telltale’s The Walking Dead, you’re going to want to make sure you’ve played the first game to completion in order to get the most out of The Banner Saga 2. There’s a recap to catch you up on things, but it’s brief and only covers some of the overarching story and not much of the character drama. And if it wasn’t clear you’re playing the middle of a three-part story, a title card that reads “Chapter 8” greets you when you select New Game from the main menu. You won’t feel completely helpless though. The Banner Saga 2 is still engaging enough, thanks to a wealth of improvements to its turn-based combat mechanics and deeper character systems. While this certainly makes for a sequel that is bigger and better in every way, the problem lies in that much of the narrative events and consequential decision-making only really hit home if you have prior knowledge of the first game. For me, this was a struggle. Having played about 3/4’s of the first game on PC four years ago, I was able to remember key moments and characters, but without importing a complete save file over to Switch, I had to start fresh and look up some videos on YouTube to get reacquainted with the world of The Banner Saga. And what a world it is. 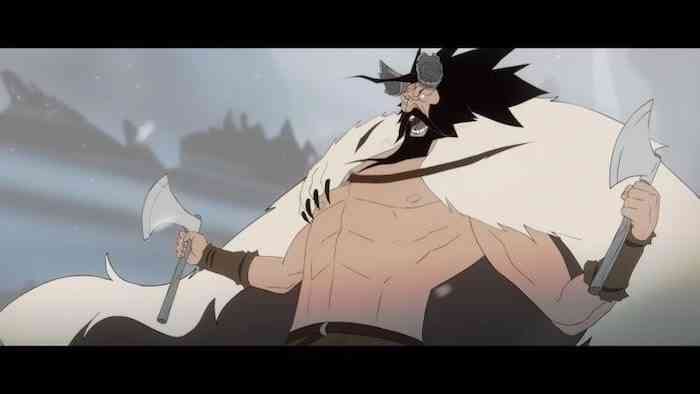 The Banner Saga series is beautiful to look at, depicting a mythological Norse world featuring Vikings inspired by Disney-esque cartoons with gorgeous hand-drawn art and animations. Without diving too much into the story, the world is rich with human characters, horned giants called Varl, an enemy race called Dredge, and the ongoing battles between them all. A new centaur race, the Horseborn, is also introduced in the sequel and they make for an excellent addition to the lore. The Banner Saga 2 also shakes things up by putting much of the focus on your actual tribe of warriors while they flee to safety. That means you’re the leader of a caravan, managing everyone onboard and keeping them alive. You’ll be required to not only defend your lot during conflict with enemies alike but also keeping them well fed and keeping their morale up. 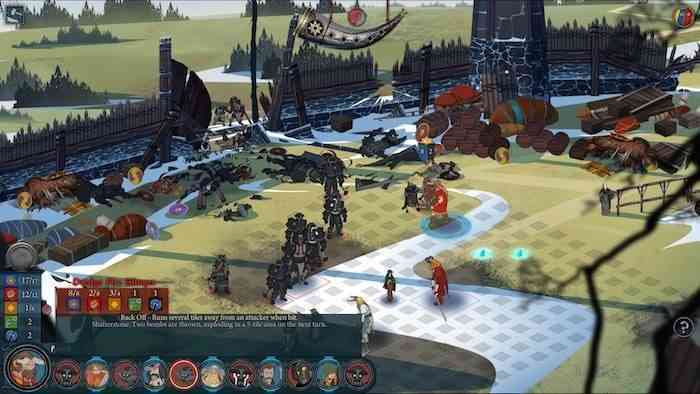 Balancing a caravan full of strong fighters and clansmen is important for survival in The Banner Saga 2, and the day-to-day management system helps break up the rather fast-paced storytelling on display. Keeping morale high in your group is important because it adds to your Willpower resource, which can be used during battles for an advantage over the enemy. Spending Willpower points can offer a number of advantages including moving your characters beyond their usual movement range, to adding more damage to their attacks, or activating special character abilities. Willpower, in general, adds a decent amount of unpredictability to a combat system that is simple and uncomplicated. Just like in the original, units have armour and health that can be chipped away using offensive moves. The amount of health a unit has correlates with how much damage they can dish out. The amount of armour, on the other hand, will always block the same amount of damage. Deciding on whether to whittle away a units health or armour is what makes combat so enjoyable and rewarding in The Banner Saga games. Focusing on an enemy’s health is all well and good, but lowering a unit’s armour can lead to more effective attacks later on. However, leaving their health meter high means their attacks are more devastating on the battlefield. Since there are no potions or health options to consider, combat scenarios are more involved and often intense affairs that blend cautious and aggressive tactics. I found utilizing the Varl characters in my clan helped me get out of a few hairy situations. The Varl, due to their large size, can take up four squares on their movement grid versus the standard one. While they aren’t as mobile as others, they can create blockages across the map, which proved useful when preventing the enemy lines from invading my group. 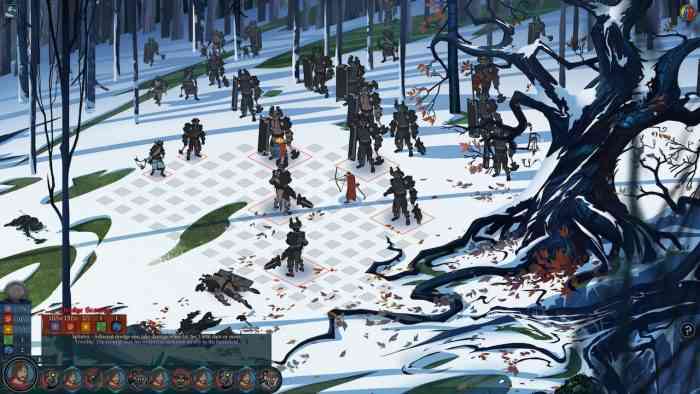 In The Banner Saga 2, there are now destructible barricades on the battlefield, which provide some added strategic gameplay. Rounding out new features are the aforementioned Horseborn race (who can cause some serious destruction) and the Poet class who can build up your Willpower meter rather quickly. The turn-based combat is the bread and butter in The Banner Saga 2. Battles are fun and challenging, and levelling up your characters and learning their abilities is crucial to mastering many of the game’s later challenges. It’s not an easy grind either, but dying or losing a battle doesn’t necessarily equate to a game over screen. There may be a loss of warriors and morale or injured party men, but the story still continues on no matter their outcome. Finishing The Banner Saga 2 doesn’t mean winning every conflict, and your win-loss ratio — along with your decisions — will also carry over to The Banner Saga 3. Outside of combat, the story events and decision-making provide some of the most powerful moments in the game. Choices thrown at you at the beginning can return in dramatic ways further along in the story. Since you’re always looking after the wellbeing of your clansmen, you’ll run into a few naysayers that don’t agree with your decision. How you handle these disputes will have rippling effects throughout your journey. Some may positively benefit you and your crew while others will have negative outcomes. In The Banner Saga, every action has a reaction. In terms of its place on Nintendo’s handheld, The Banner Saga 2 is a lovely port. There aren’t any compromises here, even when playing in handheld mode. Sure, it plays at 720p on the small screen but the gorgeous hand-drawn graphics and slick animations truly do look stunning on the Switch. The developers also wisely added touchscreen controls to the game, which feels like the right move when dealing with a turn-based strategy game. While I still preferred being sprawled on my couch with the Pro controller in hand, The Banner Saga 2 comes highly recommended as a handheld game too. The Banner Saga 2 is a mesmerizing and beautiful turn-based RPG with a deep and layered combat system while also delivering a strong narrative jammed with plenty of tough player decisions. The strategic management system, which involves managing a caravan of followers, is complex and thoroughly engaging. 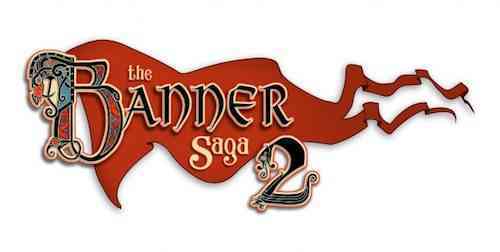 The Banner Saga 2, however, isn’t designed for newcomers. 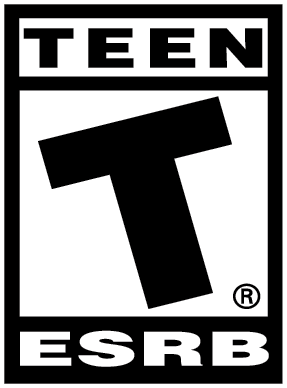 It’s recommended to start from the first game before jumping into the sequel. While it can certainly be enjoyed without playing the original, players will be missing out on key character and plot developments. If you’re looking for a deep tactical RPG with a fantastic story on Switch, you can’t do much better than The Banner Saga 2.